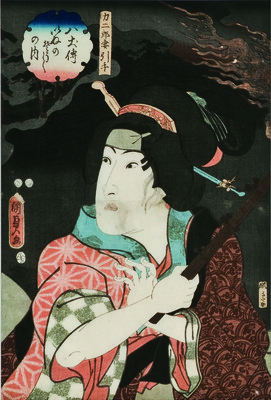 Utagawa Kunisada II. Actor Iwai Hanshirô VI as Rikijirō’s Wife Hikite. 1852. Color woodblock print. Augustana Teaching Museum of Art collection, 1982.17.